August 2018 – History… the interesting bits! Having read and enjoyed Teresa Cole’s book, The Norman Conquest, I was expecting a great deal from this book, and was not disappointed. After the Conquest takes up the story where the first book left off, giving an overview of the Conquest and the years which followed with the reign of William the Conqueror, before coming into its own with the stories of the Conqueror’s 3 surviving sons; Robert Curthose, William Rufus and Henry I. Taking the story from teh Conquest itself, to the death of Henry I and the succession squabble which followed, Teresa Cole provides and in-depth view of the post-Conquest years in England and Normandy. After the Conquest provides a complete and detailed study of each of the 3 sons of William and Matilda; their family life and military and political careers. She is thorough and analytical in her approach, using primary sources to support her arguments and theories. The book provides a new and refreshing insight into the story of the struggles between the brothers is told in a balanced, thoughtful style, highlighting the strengths and weaknesses of each with equal vigour. She dissects the abilities and failings of each brother separately, and compares their successes and failures, providing a complete image of their changing relationships throughout the years. 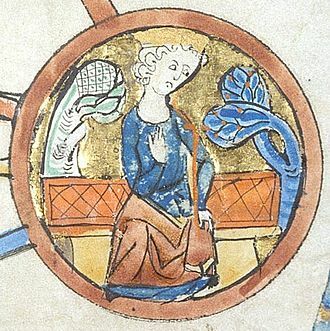 There is a tendency to see Henry, especially at this time, as the innocent younger brother, tossed about and beset by the whims of hos elders. Clearly, though, there was a strong streak of his father’s ruthlessness in the young man’s make-up, and also a strong conviction as to what was due to people of his class and upbringing. 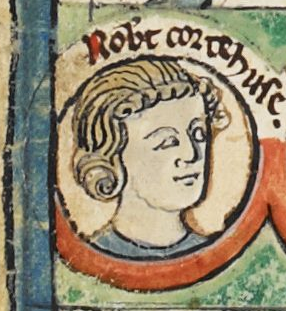 Rather than an example of brotherly love, After the Conquest tells the story of one of the most significant examples of sibling rivalry in English royal history, rivalling that of King Richard the Lionheart and King John in its viciousness. However, although this theme runs throughout the book, the author also provides an in-depth study of the regimes of each of the brothers, separately, highlighting the successes and failures of their rule as kings of England and dukes of Normandy. While Henry I, the youngest brother, invariably comes out on top, it is fascinating to read of Henry’s abilities, as the baby of the family, to exploit his brothers’ weaknesses for his own benefit. Teresa Cole not only analyses the relationship of the brothers, with each other, but also with those around them, including their siblings, officials, servants and the church. She provides a wonderful overview of the period and the main actors involved the affairs of England and Normandy in the years immediately following the Conquest. Teresa Cole’s writing style is a pleasure to read. While authoritative and thorough, the book is an enjoyable, accessible read for all those interested in history in general, and the Norman Conquest in particular. She also provides a brief, comprehensive analysis of each of the primary sources used in her work. My only criticism, however, would be the lack of footnotes hampers the reader’s ability to investigate some of her arguments further. After spending a year researching the women of the period for my new book, Silk and the Sword: the Women of the Norman Conquest, I was worried that, having read so much on the period recently, I would be too jaded with the 11th century to truly enjoy the book. 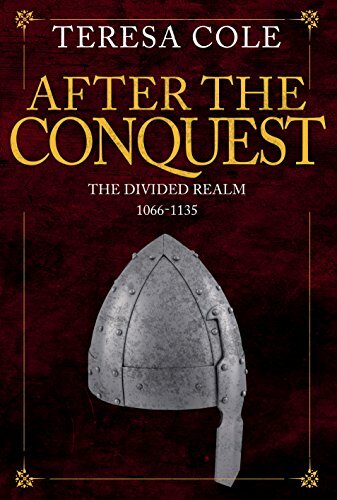 However, in After the Conquest, Teresa Cole has taken a new approach, in focusing on the 3 sons of William the Conqueror, and has produced a thoroughly engaging book, providing a view of the Conquest and its aftermath from a new and intriguing angle. It would be a wonderful complement to anyone’s library of 11th century works. After the Conquest by Teresa Cole is available from both Amazon and Amberley Publishing. Teresa Cole has been a teacher for thirty years. 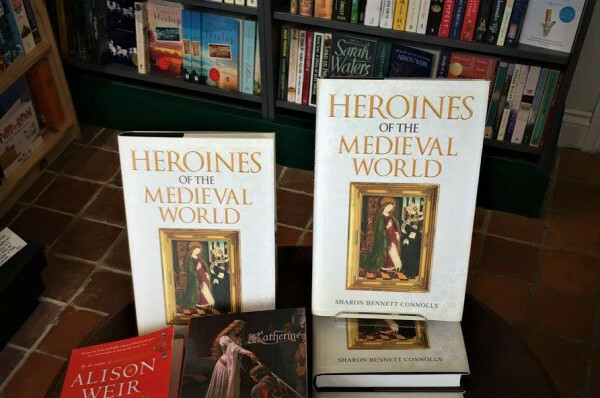 She has written several law books and a historical biography by Amberley, ‘Henry V: The Life of the Warrior King & the Battle of Agincourt 1415’ (‘Cole understands the importance of drama… a thorough account of Henry’s life’ HISTORY OF WAR MAGAZINE). She lives just outside Bath. From Emma of Normandy, wife of both King Cnut and Æthelred II to Saint Margaret, a descendant of Alfred the Great himself, Silk and the Sword: the Women of the Norman Conquest traces the fortunes of the women who had a significant role to play in the momentous events of 1066. 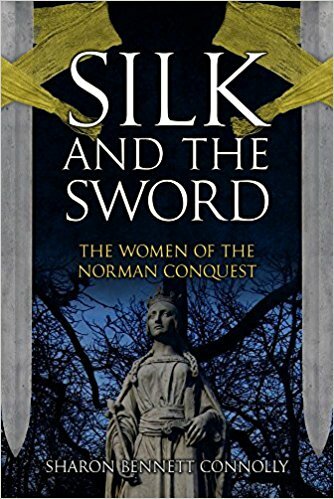 Silk and the Sword: the Women of the Norman Conquest will be released in the UK on 15 November 2018 and is available for pre-order on Amazon UK, Amazon US, Amberley Publishing and Book Depository. Guest Post: The Quest for The Holy Grail by Mary Anne Yarde. 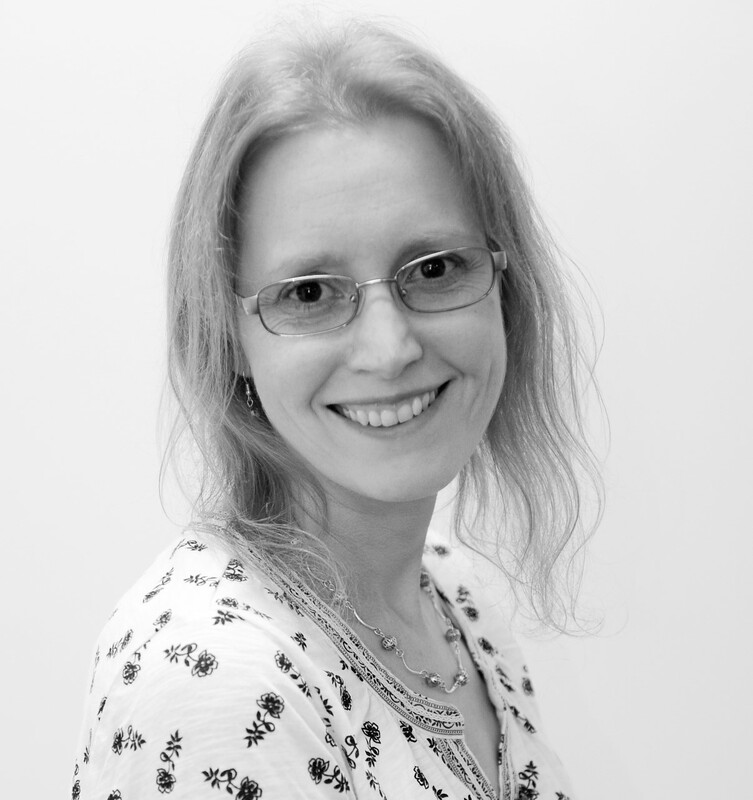 Today it is a pleasure to welcome back Arthurian novelist Mary Anne Yarde to the blog. 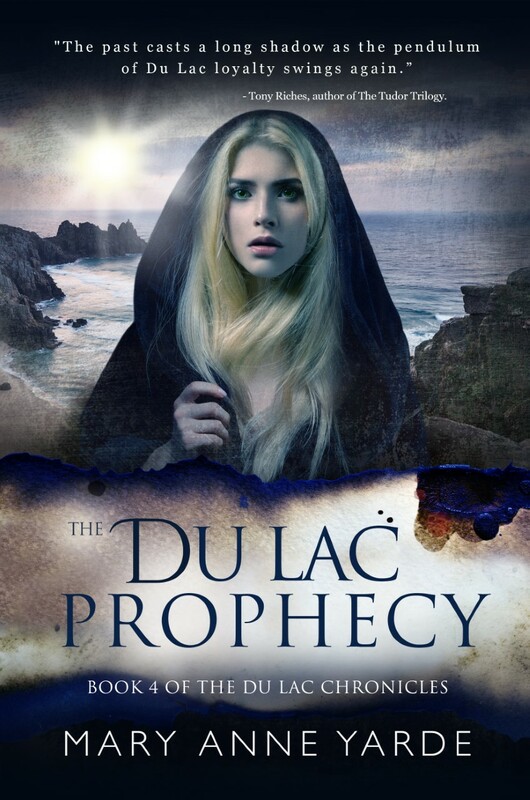 Mary Anne’s latest book, The Du Lac Prophecy, book 4 of The Du Lac Chronicles, is released today. Mary Anne has joined us to share some of the research behind the book, with an article about that most elusive of historical relics, the Holy Grail. King Arthur’s Britain is a utopian world filled with chivalry, glory, and just a touch of glamour. Imagine Camelot as she rises out of the Fata Morgana — the mist. Picture the Knights as they mount their beautiful horses and ride through the portcullis as they embark on another noble quest. Is there anything more romantic? The most famous quest of all was, of course, the quest for The Holy Grail. It is this quest that I am going to take a closer look at today. I am going to talk about where the idea came from, and how it became associated with King Arthur and his Knights. To start with, we need to look at a passage from the Bible. This was to be the last supper before Jesus’ arrest and horrific crucifixion. 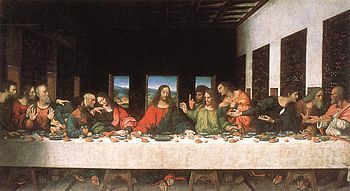 It is said that the cup that Jesus used on that fateful night was also used to catch his blood as he hung on the cross. So, because of this, The Holy Grail was / is a very precious Christian artefact. Joseph of Arimathea and The Holy Grail. But then a miracle happened, and Jesus rose from the dead. The tomb was again empty, but Joseph’s heart was full of wonder. Joseph spent the rest of his life wandering the world and passing on the teachings of Jesus. It came to pass that Joseph and a group of friends sailed to a distant land called Albion. They followed the River Severn as they travelled inland and finally they found themselves in The Summer Lands. Joseph brought with him the sacred Chalice of Christ, for it was his to protect. 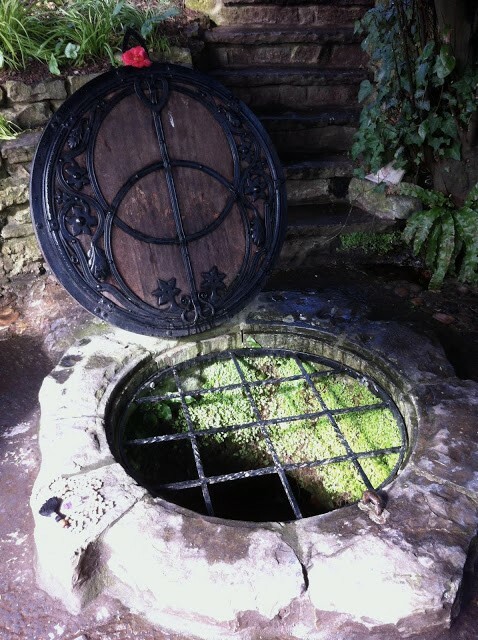 Joseph settled in a place known locally as The Island of Glass (Glastonbury), and it is said that it was here that Joseph hid the Holy Grail down a sacred well. The water of the well, so the story goes, instantly turned red and tasted of blood. The Grail’s hiding place remained a secret for many years, and over time it became the stuff of legends. The stuff of folklore. So how did Arthur and his Knights become associated with this story? Well, to answer that question we need to look at one man — Chrétien de Troyes. At the end of the 12th Century, Chrétien de Troyes, a French poet, took up the story of the Grail. 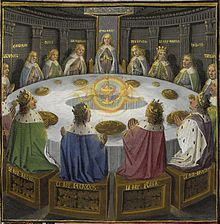 He wove the story of the Grail into the story of King Arthur and his Knights. It was an instant hit. The importance of de Troyes influence on Arthurian Legend cannot be overlooked. It is de Troyes that introduced us to Lancelot and the love triangle. It is de Troyes that first introduced the idea of the Knights Quest for the Holy Grail. He also introduced us to the knight that would discover the Grail’s hiding place — Sir Percival. If nothing else, de Troyes certainly sparked the imagination of the populace, for what could be more romantic than these chivalrous, heroic knights, searching for the sacred cup of their religion? 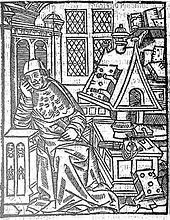 Robert de Boron (a late 12th Century French Poet) went into even more detail when he took up the story. But it was the Vulgate Cycle (Lancelot-Grail), which was written in the 13th Century by an unknown author that really cemented the Grail Quest with Arthur and his Knights. The central character of the story is Lancelot. However, instead of Percival being the ultimate Grail hunting knight, it is Lancelot’s son, Galahad. What did the Church think of this story? It is, after all, about a sacred relic. The idea of a magic cup – cauldron – was a prevalent theme in Celtic myths, not so much the Bible. It was, in short, a pagan tale that was rewritten by a French poet with a socially acceptable Christian theme. As with almost all things King Arthur, excavating the truth is near on impossible. Arthur resides in the shadowy world of folklore, and that is where the Grail can be found as well. However, the story of the Knights and the Holy Grail captured the imagination of the country and it has been associated with Arthurian Legends ever since. 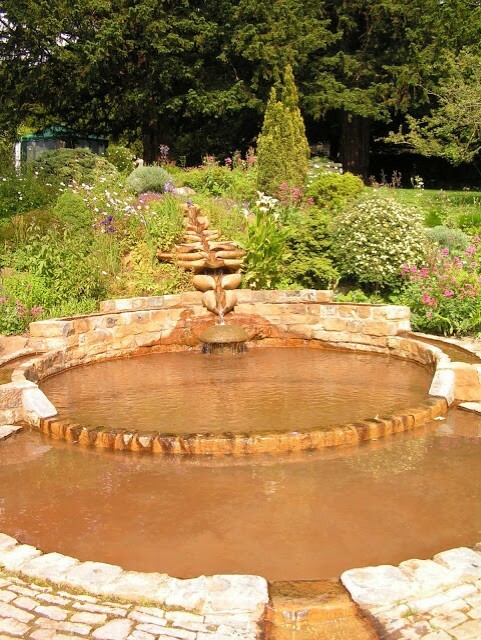 Picture courtesy of Wikipedia, except the Chalice Well and Gardens, which are courtesy of Mary Anne Yarde. Mary Anne Yarde is the multi award-winning author of the International Bestselling series — The Du Lac Chronicles. Yarde grew up in the southwest of England, surrounded and influenced by centuries of history and mythology. Glastonbury — the fabled Isle of Avalon — was a mere fifteen-minute drive from her home, and tales of King Arthur and his knights were a part of her childhood. To buy the latest book in Mary Anne’s fabulous Du Lac Chronicles: Amazon US; Amazon UK; Amazon CA. 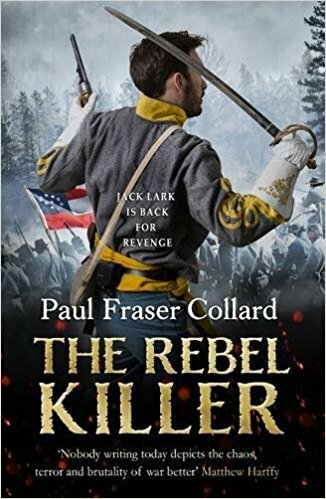 Paul Fraser Collard’s roguish hero Jack Lark – dubbed ‘Sharpe meets the Talented Mr Ripley’ – returns once more, switching sides to join the ranks of the Confederate Army. This latest adventure will see Jack journey through the Southern states as the American Civil War continues in earnest, and is a must-read for fans of Bernard Cornwell and Simon Scarrow. Fighting for the Union gave Jack Lark purpose. But America is tearing itself apart and no one will be left in peace. Virginia, 1861. With his comrades defeated, Jack turns his back on the battlefield. At heart he’s still a soldier, but this wholly uncivil war has left him wanting something – and someone – more. Lost in the woods with the Confederate army closing in, Jack will stop at nothing to protect Rose and the future they might share. Then one bullet changes everything and Jack wakes up in a military hospital – alone. Broken but determined, he sets out on an epic journey across the Confederacy disguised in the grey coat of his one-time enemy. He will find the man who destroyed his life. Jack Lark is out for revenge. Paul Fraser Collard has done it again! The Rebel Killer is a stunning adventure which is impossible to put down. It is one of those books every reader hopes to find, which don’t come along too often; you are desperate to finish it, but want it never to end, and feel bereft as soon as you have read the last word, knowing that you were not quite ready to say goodbye to such a wonderful story. I have followed Jack Lark’s story from the very beginning, The Scarlet Thief was a refreshingly different and new innovative style. There is no shadow of the inimitable Sharpe from Bernard Cornwell, which many stories of 19th century soldiering are trying to recreate. Though their starts in life may have been similar, their attitude to soldiering are polar opposites. Where Sharpe seeks honour within the ranks of the army, and the regiment is his family, Jack feels no such connection to a particular regiment, nor a particular army, for that matter. And yet, both have that unique quality, they are natural soldiers and leaders, bound by their own personal interpretation of honour to do the decent thing. In battle they are invincible, natural leaders, soldiers follow them without question. That is where the comparisons end, however. Jack Lark is very much his own man. He has the ability to change his coat and his allegiance wherever and whenever he has to, whilst still holding on to a set of values which make him an admirable leading man. He is no mercenary, rather a soldier fighting for his own reasons and always where the battle is fiercest. He is a lovable rogue in every way. Jack looked deep into the other man’s eyes. He saw the fear there, yet he felt not even a shred of compassion. The moment the brothers had spotted the pair of fugitives, they had become a risk to Rose and to the future he might share with her. It was time to end it. He lashed out with the sabre, bludgeoning the steel into the side of Seth’s head and knocking him to the ground. The Confederate fell without a sound. Jack turned away, searching the undergrowth for Rose. She had not moved during the short, bitter struggle. Now she rose to her feet and stalked forward. ‘Are they dead?’ She asked the question in a voice quite without emotion. ‘One is. One soon will be.’ He gave the cold answer, then began to wipe the worst of the gore from his sword on the jacket of the man he had slain. He could not return it to its scabbard until it was clean, lest it stick to the insides. Rose came to his side. There was no hint of horror on her face; only sadness. She had seen Jack fight before. She knew what he was. She had accepted him. She looked down at the second man, the one she had heard called Seth. He was still alive, yet it was clear that he would not last long. Already the flow of blood pulsing from his grotesque wounds was slowing, and his skin was the colour of week-old ash. ‘Give me your revolver.’ She made the demand of Jack in a voice wrapped in iron. ‘He’s as good as dead, love.’ Jack reached out and took a grip of Rose’s shoulder, turning her so that she faced him and no longer looked at the dying man. Paul Fraser Collard is a wonderful storyteller, he pulls you into the action from the first page and keeps you constantly wanting more, wanting to know what happens next, wanting to know if the bad guys get there’s, wanting to know if it will all be alright in the end. Jack Lark is a wonderful creation, an impostor, a man who can take on whatever guise, whatever uniform the situation requires. But there is one constant, he’s a soldier, a warrior and he will never give up the fight while there is breath – and blood – in his body. In The Rebel Killer Jack’s character really comes to the fore. His need for introspection, to decipher his own motives and justify his actions offer a new perspective on the story and great insight into the hero. He grows in this book, as a human being and a soldier, realising where his talents lie and using them to the full. In The Rebel Killer he is driven by thoughts of vengeance and the need to be alone, to not have to be responsible for others. However, that is not – and never has been – his way. He has a natural protective instinct and cannot leave others to fend for themselves, no matter how much easier it would make his life. These relationships – with friend and enemy alike – are what brings Jack’s story to life. His talent is not just for killing, but for touching the lives of those around him., not that he always realises this. In the midst of the American Civil War, Paul Fraser Collard has dropped this English chameleon and left him to fight for his vengeance and survival. And as such created a story which views the war from both sides and shows how men fought, not for the political ideals of their leaders, but for their families, their comrades and their own survival. The action is frenetic and vividly, colourfully described. The reader is not merely an observer, but thrust into the heart and heat of battle, fighting for their next breath, alongside Jack Lark. You can feel the heat and dust of battle, hear the cannons roar and the screams of the wounded and dying. The Rebel Killer is a wonderful story, not to be missed, and probably the best Jack Lark tale yet. I cannot wait for the next instalment and to see where Jack goes next! Paul’s love of military history started at an early age. A childhood spent watching films like Waterloo and Zulu whilst reading Sharpe, Flashman and the occasional Commando comic, gave him a desire to know more of the men who fought in the great wars of the Nineteenth and Twentieth Centuries. This fascination led to a desire to write and his series of novels featuring the brutally courageous Victorian rogue and imposter Jack Lark burst into life in 2013. Since then Paul has continued to write, developing the Jack Lark series to great acclaim. To find out more about Paul and his novels visit www.paulfrasercollard.com or find him on twitter @pfcollard. Paul Fraser Collard‘s Jack Lark series of books are available now from Amazon. The great struggle between the Eastern Roman Empire and the Gothic Horde rumbles into its fifth year. It seems that there can be no end to the conflict, for although the Goths are masters of the land, they cannot topple the last of the imperial cities. But heralds bring news that might change it all: Emperor Gratian readies to lead his Western legions into the fray, to turn matters on their head, to crush the horde and save the East! The men of the XI Claudia legion long for their homeland’s salvation, but Tribunus Pavo knows these hopes drip with danger. For he and his soldiers are Gratian’s quarry as much as any Goth. The road ahead will be fraught with broken oaths, enemy blades… and tides of blood. Gordon Doherty‘s Legionary: The Blood Road is the 7th book in his acclaimed Legionary series and is a masterpiece of Roman fiction. I don’t often read Roman historical fiction, but whenever I do stray from medieval history into the realms of the legions, I find myself asking ‘why don’t I do this more often?’ Legionary: The Blood Road again made me realise how much I love a good book about Rome!. Legionary: The Blood Road is a fast-paced, enjoyable novel of the Roman legions which grips you from the very first page. The action and intrigue never lets up, from the opening lines to the last, taking the reader on a journey through the Eastern Empire of Theodosius and its struggles against the Goths. The battles are so vividly portrayed, they feel real; the tactics of the Roman legions and of the Gothic horde, have obviously been extensively researched. The author transports you back to the events and leaves you feeling that you were a spectator to the actual battles. The suspense is tangible, the end of the book cleverly disguised so that, to the very last pages, you are fearful that the hero may not prevail. ‘For the Claudia,’ panted one voice, thick with emotion. He turned to the rise, seeing the men of the First Century slacken in relief. Seven legionaries lay still on reddened earth; another dozen groaned and clutched wounds. Pavo betrayed not a chink of emotion, the ‘soldier’s skin’ like a layer of old boot leather around his heart. He quietly stooped to pack a little frost around the stinging gash on the back of his hand. Primus Pilus Sura, his most trusted man in the legions and out, wrenched his spear clear of the shoulder of another Hun corpse, his blonde hair shuddering and his boyish features ruined by a snarl. ‘We weren’t sent here to fight Huns,’ he seethed at the toppling body. ‘Still a bit of a nightmare on this side too, Tribunus,’ said Centurion Libo, throwing his helmet to the ground and scratching behind his ear like a dog, flakes of dry skin spraying from his wild matter hair. His painted, wooden eye remained fixed and staring while the good eye swivelled to look south, he like the many others thinking of the turmoil still ongoing many miles away. And what a hero! Pavo is a fabulous character, who is vividly portrayed. It’s almost like you know him personally. Human, flawed, ruthless; but a beloved leader whose men will follow him, no matter what. He has earned their loyalty by giving them his loyalty and it is this mutual strength and trust which provides the backbone to the story. You find yourself rooting for him through is many trials and tribulations, while at the same time wondering how anyone could get out of the predicaments in which he finds himself! Pavo, however, has made some powerful enemies, and it is his relationship with these enemies – the Emperor Gratian, no less – that leads Pavo into the greatest danger. Gratian doesn’t want Pavo dead – he wants him to suffer. Pavo has to balance his need to stay away from Gratian – and his personal band of assassins – against his duties to protect and defend the empire against the invading horde and an ever-elusive dream of peace. The suspense is almost too much to take and will keep you reading long into the dark hours of the night. 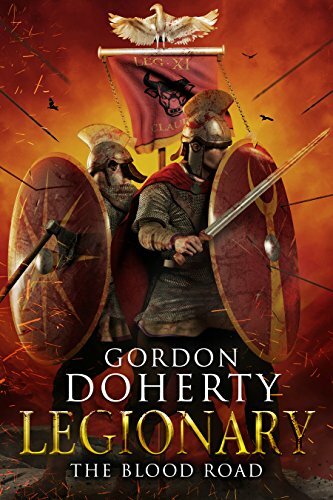 In Legionary: The Blood Road Gordon Doherty expertly transports you back to the great days of the Roman Empire, using his extensive knowledge of the era and incredible story-telling skills to give the reader the impression of being there, in the midst of battle and court politics. The sights, sounds and smells of the eastern empire can be vividly imagined as you get absorbed into the story and atmosphere of Imperial Rome. I have read a couple of the earlier Legionary books, but have missed a few. However, with Legionary: The Blood Road you could easily read this book if it was your first introduction to author Gordon Doherty. This is a self-contained novel that introduces past events when they need explanation, but tells a complete story in the author’s own, inimitable style. Gordon Doherty is one of the must-read authors of Roman history, a wonderful story-teller who vividly recreates the era, through the landscape, people and the politics. The battles and intrigues are masterfully recreated to entertain and engage the reader; I cannot recommend it highly enough. Legionary: The Blood Road is a fabulous read! To buy Legionary: The Blood Road. Gordon Doherty is a Scottish writer, addicted to reading and writing historical fiction. 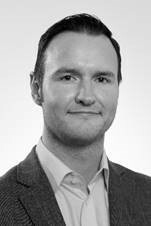 His love of history was first kindled by the ruins of Hadrian’s Wall and the Antonine Wall, and travelling around the ancient world has kept the fire burning brightly ever since. The later Roman Empire and Byzantium hold a particular fascination for him. There is something quite special about the metamorphosis from late antiquity into the ‘dark ages’ and the medieval period. While historical fiction is his passion, he alsoenjoy writing comedy and sci-fi too. Perhaps one day he’ll find a way to combine all three! Gordon Doherty on social media: website; Facebook; Twitter.